Most forms of development require an environmental assessment to identify and mitigate potential impacts on an ecosystem, including geology, topography, hydrology, soils, vegetation, wildlife and fish, and fish habitat. An assessment can also include social and cultural impacts, to ensure the community benefits of a development are maximized. Solstice manages site assessments differently. We look at each piece of the puzzle – from a site’s history to its current make-up – to understand the full picture and develop plans based on informed decision-making. We target identified risks on sites by deploying high resolution, advanced assessments that reduce uncertainty and improve cost efficiency. Solstice’s team and our strategic partners allows us to lead projects across diverse industries, from resource development (e.g., oil and gas, mining) to urban development (e.g., roads, utilities, infrastructure, subdivisions, and land use policy). Our staff includes technical experts in biophysical sciences (e.g., soils, forestry, wildlife, and vegetation ecology) and applied disciplines, such as wetland ecology, conservation, reclamation planning, regulatory approvals, and environmental policy. Environmental reclamation returns lands disturbed by mining, oil and gas activities, transportation or logging back to either economically productive or natural habitats. Reclamation can include earthworks and soil management to return the site back to the surrounding landscape, followed by the planting of crops or native vegetation, weed control, erosion control and site monitoring. Our multi-disciplinary team are reclamation experts who ensure the effective and safe execution of a reclamation plan. Solstice has strong working relationships with regulators and other stakeholders, including landowners and construction contracting firms specializing in environmental earthworks projects. Our network gives you a one-window, one-contact approach on your reclamation projects, allowing you to more easily navigate regulatory protocols and policies. The objective of environmental remediation is to reduce or remove contaminants from soil, groundwater, sediment or surface water that could otherwise have an adverse effect on the environment and/or human health. Remediation is generally subject to an array of regulatory requirements and can also be based on assessments of human health and ecological risks where no legislated standards exist or where standards are advisory. Our multi-disciplinary team develops remedial action plans that balance practicality, costs, and effectiveness with project and site-specific requirements. We review all remediation options, ensuring the most effective technologies are deployed. 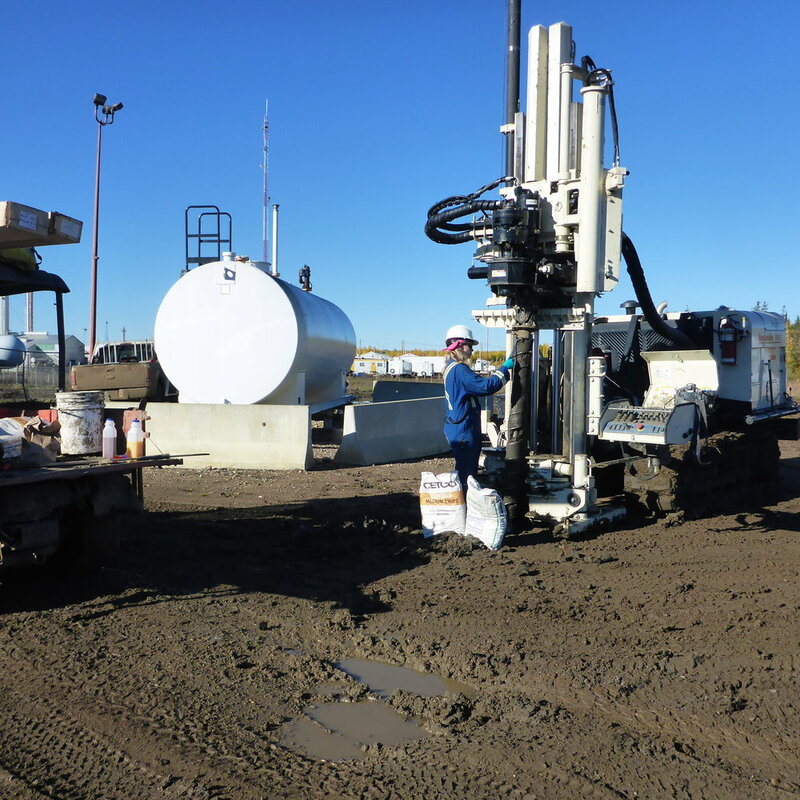 One of our strengths is our ability to create alliances among regulators, contractors specializing in remediation technologies and environmental earthworks, and other stakeholders to most efficiently move your remediation plan and project forward. We'd love to talk with you about your environmental management challenges and opportunities.